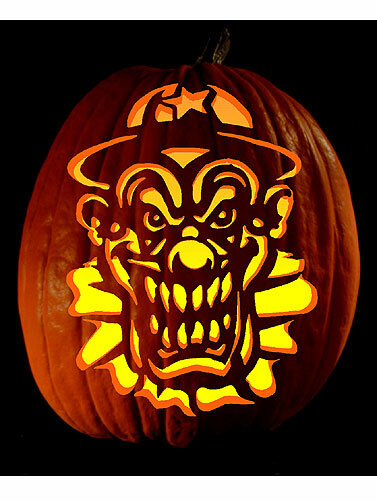 Carve a scary laughing clown with the aid of this easy to use pumpkin tattoo. No need for poking, just apply the tattoo and you are ready to carve. Tattoo is applied with water. Scary Clown Pumpkin Tattoo measures 8"H x 8"W.